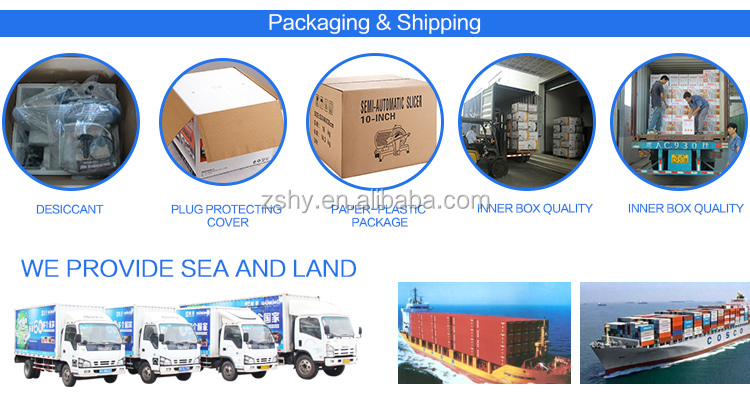 1.The whole body uses high quality aluminum, good product mix, beautiful design. 2.The blade is made of stainless steel, firm and durable, confirms to the international sanitation standard. 3.The axle steel uses refined design, slides along smoothly, firm and durable. 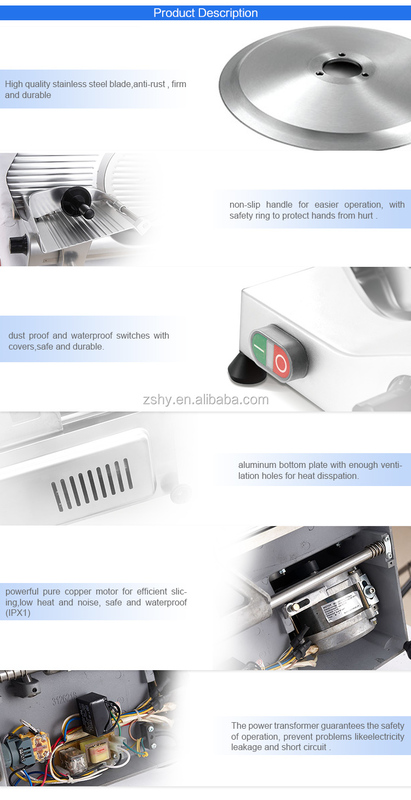 4.The new bottom plate is made of aluminum, firmer, more durable and beautiful. 5.The new handle, safer and beautiful. 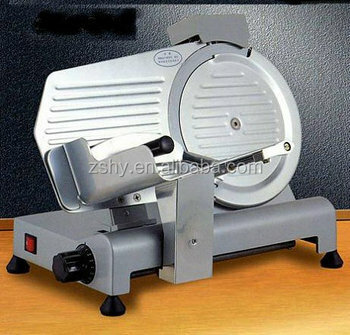 6.The machine provides sharpener, which help to use more convenient , and strengthen the security. 7.The base can also be painted in different colors or be polished. 1. The upholding board have inerlocking design, disassembly of a more efficient security. 2. 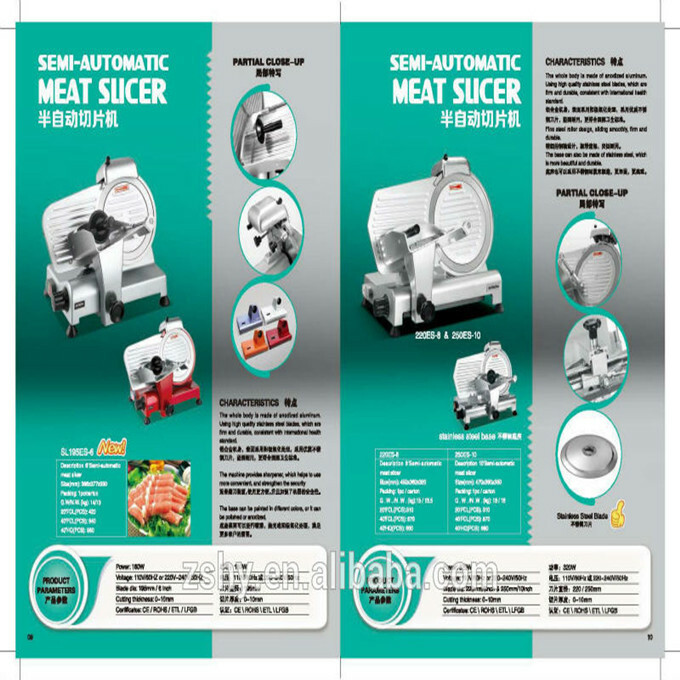 Built-in protection devices, from the sharpener break away from machine, blade stop working. 3. When the knife was loose, the machine automatically stop working. Power and voltage can be determined according to users requirement.